Some hippie and yummy CNY goodies that you would actually eat. If you are not a fan of the CNY goodies your parents are always buying, consider stocking your house with some of these "dangerously addictive" salted egg snacks instead. Infusing classic goodies with salted egg yolk, Irvin's Salted Egg has just introduced the latest snacks for us to feast on this CNY- The Amazing Salted Egg Pineapple Tarts ($20/box) and Salted Egg Crunchy Roll ($10/pouch). 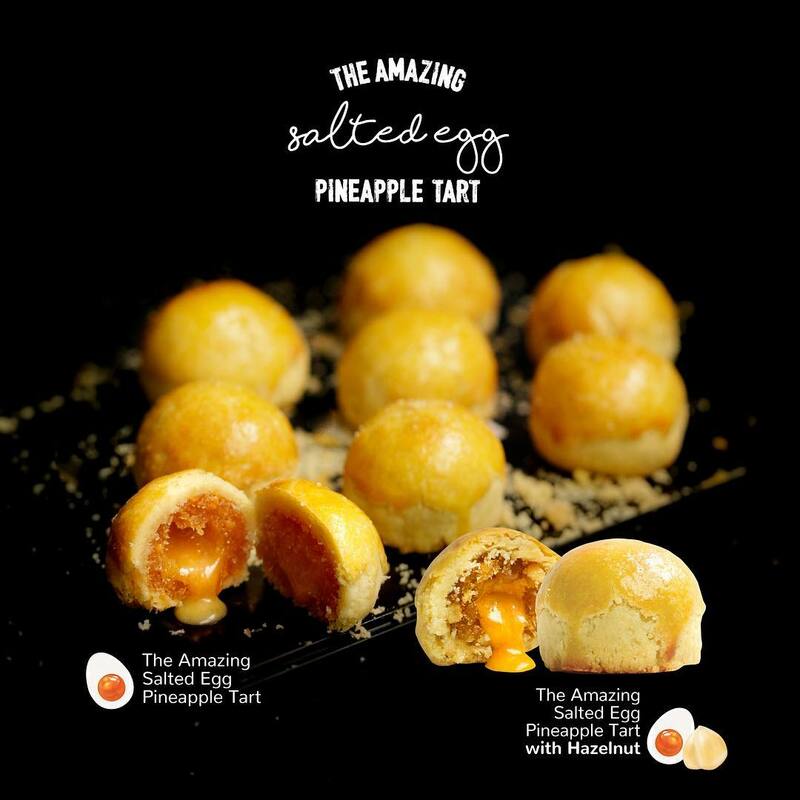 If you are adventurous enough, you can even try out The Amazing Salted Egg Pineapple Tart with Hazelnut! 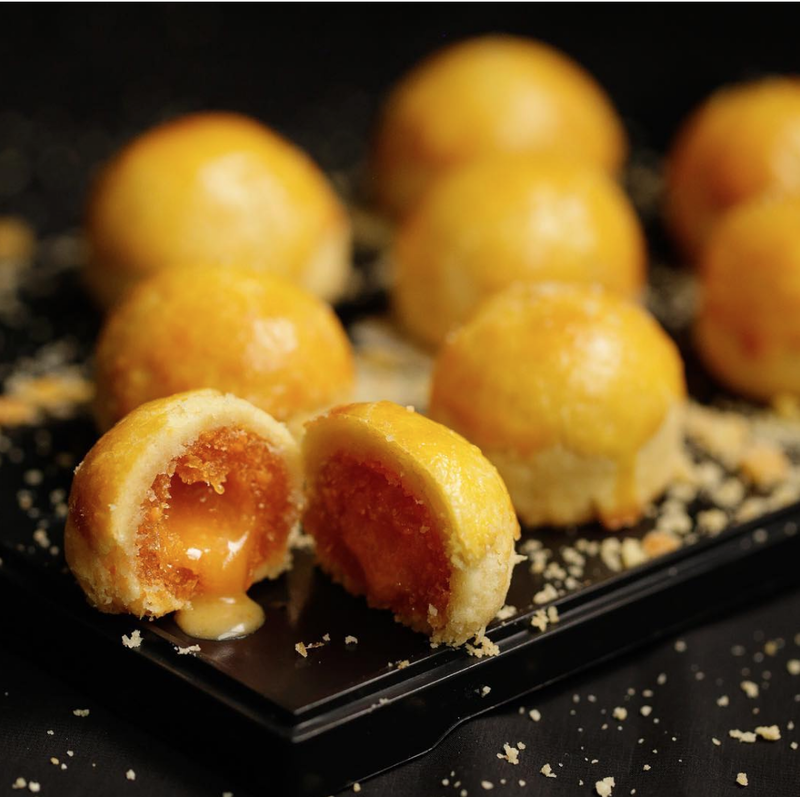 P/s: You can toss the tarts in the microwave for eight seconds to get a taste of the Salted Egg lava! Layers of deep-fried popiah skin has been coated with Salted Egg, seeing the birth of this CNY-exclusive Salted Egg Crunchy Roll. While the Salted Egg Crunchy Roll is available at all Singapore cartels (except Tampines Mall, Waterway Point and Jurong Point), The Amazing Salted Egg Pineapple Tart is only available at Plaza Singapura, Raffles Xchange & Takashimaya Square. 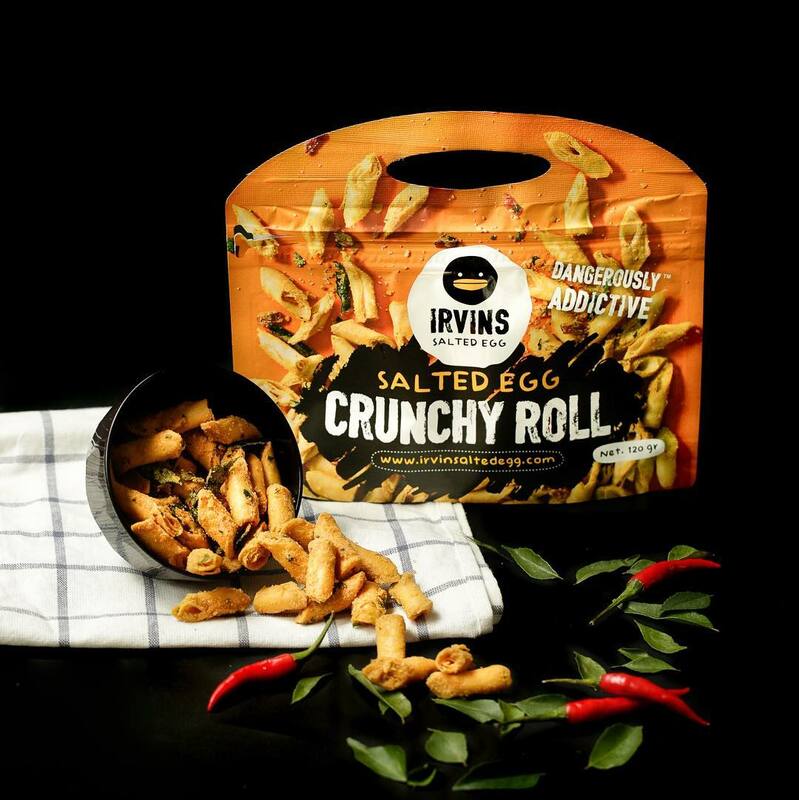 Know someone who loves Irvin's Salted Egg or really, just anything salted egg-flavoured, share this with them!